David is a true change agent and “intrapreneur” with a background that spans incubating and leading a multi-award winning enterprise social media organization at Univision, to designing and accelerating growth initiatives as a strategy consultant (Bain & Company) for Fortune 100 Companies and top tier Private Equity firms. Before co-founding BRaVe Ventures, David was the SVP and general manager of social media at Univision, where he was accountable for delivering and monetizing innovative Social Media, Social TV, Second Screen and Transmedia efforts across TV, digital video, mobile, radio and live events platforms. He led a team that earned 25 Social Media awards for designing and executing programs on a world-wide stage, including the 2014 FIFA World Cup, Latin Grammy Awards and 2012 U.S. Presidential election town halls with President Obama and Governor Mitt Romney. David was also the recipient of the 2014 Social TV Marketer of the Year and 2013 Latin Social TV Marketer of the Year. In 1997, Gary began to recognize the importance of e-commerce; shortly thereafter, WineLibrary was born. He used the site to grow the store from a $3 million business to a $45 million business, and it was just the beginning. Armed with a Flipcam and a NY Jets bucket, he started Wine Library TV in 2006 to share his knowledge and passion for wine. In the spring of 2009, with brother AJ, he launched VaynerMedia, a new breed of agency that would help fortune 500 companies like GE, PepsiCo, Green Mountain Coffee, the NY Jets, and the Brooklyn Nets find their social voices and build their digital brands through micro-content and other story telling actions. The idea took hold - what started as a 6-person project 5 years ago has swelled to a 400-strong team spread across the country. After years of angel investing in companies like Twitter, Tumblr, Uber and Birch Box, he recently launched VaynerRSE, a $25 million seed fund that will help invest in and launch the next generation of world-changing technology companies. Shelly Kellner is a VP at BRaVe Ventures, where she is a key team member and thought leader on major projects. 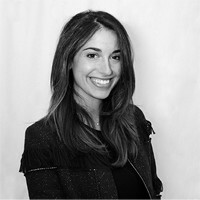 Prior to joining BRaVe, Shelly was most recently the Director of Revenue Operations Strategy within Univision’s Digital business, where she was responsible for identifying and implementing strategies to improve monetization, measurement and delivery of content across Univision’s digital properties. Shelly began her tenure at Univision as a member of Office of the CEO, where she worked on a variety of strategic projects that ranged from accelerating the monetization of Social Media to assisting in the launch of the Corporate Business Development team. Prior to joining Univision, she worked at American Express in strategy and business development capacities. She received her MBA from NYU Stern and her AB in English Literature from Princeton University. Jennifer is an entertainment and media strategist who leads with digital and mobile DNA. As Principal at BRaVe Media, she is leading the content acquisition & development arm of the business as well as advising on major client projects and investments. Prior to joining BRaVe, Jen was the EVP and US General Manager of Beamly, the social content network for television where she led the growth of the business 10x in 12 months. Beamly recruited Jen from NBCU where she was SVP, Digital at NBCU’s Oxygen network. During her tenure, she successfully raised Oxygen Media’s digital profile to be recognized as a leader in innovation within the TV and digital landscape. Nick is the founder of the social influencer company Delmondo, a digital media strategist, writer and speaker. He is a leader in building digital content initiatives with a proven ability to set vision, strategy, and execute on numerous innovative projects for some of the world’s largest brands and publishers like Universal Music Group, Sports Illustrated, Conde Nast, and Clear Channel. Prior to joining BRaVe he spent time building and implementing new enterprise social publishing and analytics tools with Livefyre, Expion and Percolate. He put the first Instagram Video on TV for Oprahand built an innovative social content experience for the PlayStation launch in North America, among other projects. Nick received his Master's from the S.I. Newhouse School of Public Communications at Syracuse University. Alex H. Nagler is a Strategist at BRaVe Ventures, where he is a key team member and thought leader on major projects. Prior to joining BRaVe, he was a member of the Business Development team at Wayin. There he assisted top media brands like ESPN, Wenner Media, and 20th Century Fox on their social strategy and display needs. He served as the public face of the company for several media conferences in New York and Europe. Prior to Wayin, he ran Business Development for Trendrr and its flagship product Trendrr.TV. He was a member of the team from launch to its acquisition by Twitter in the fall of 2013. At Trendrr, he assisted top media brands like Verizon, HBO, and the WWE in their nascent Social TV strategies and helped provide context to the space through competitive benchmarking and rankings. He serves as an advisor to an Irish import beer, Reddit’s theater engagement team, the Metropolitan Opera Young Associates, and the New York Social TV Meetup. He received his BA in Political Science from Stony Brook University. Alison is a Strategy and Business Development Associate at BRaVe Ventures, where she is a key team member on many of its projects and investments. Prior to joining BRaVe, she worked for Univision on the Strategy & Insights team, where she provided in-depth marketing strategy consultation for major CPG brands to improve revenue performance. During her tenure at Univision, she also worked on the Innovation Marketing team where she developed B2B marketing strategies and branded entertainment opportunities within the Univision portfolio. Before joining Univision, she worked for Sony Pictures Classics: first on the Acquisitions team and then on the marketing team. Alison received her BA from Tufts University. Maya is a visual designer at BRaVe Media Ventures. Maya has more than 10+ years of professional experience across digital media, user experience, and print design. She started her own visual brand agency in 2014 and created corporate identities for 20+ companies from logo design, print collateral, responsive web design, social media presence, and app design. Maya received her Master's in digital media from Hochschule fur Kunste in Germany where she successfully designed and implemented two digital interactive art installations which were exhibited in Kunsthalle. Ronit is a Business Development & Strategy Associate at BRaVe Ventures. She previously worked at NBCUniversal in a Business Development & Analysis team, where she developed enterprise-level monetization and growth strategies. Prior to joining NBC Universal, Ronit worked in Marketing and Social Media. She began her career in Broadcast Production, across several genres, working as a Writer, Researcher and Producer. Ronit received her MBA from NYU Stern and her BA in Film and Art History from Tel Aviv University. I moved to NYC from Venezuela two years ago. I studied Economics and after graduating I worked in Finance for 2 years, moving to Economic Research and eventually Marketing. In Venezuela, I ran paid media and oversaw the analytics department for clients like Absolut, Belvita, Chivas Regal, Samsung, and others. This past year I worked at Renegade LLC as a Social Media Analyst helping the team and its clients to achieve its social goals and optimizing the paid media as well as providing recommendations and researching about the newest social trends and ways of how to incorporate these into client's strategies. Lexi is a Coordinator at BRaVe Ventures. She previously worked at WME|IMG, where she developed key communications around the company's newsworthy moments, including large-scale acquisitions, client signings and deal expansions. As part of their Corporate Communications team, she used her enthusiasm for storytelling to create content for branded materials and company-wide experiential initiatives. Lexi received her B.A. in English and Psychology from Wake Forest University, and is currently based in New York City. Jon is Head of Esports at BRaVe Ventures. He started off his sports career as a Product Manager at Riot Games and most recently as CEO of Ember, a North American League of Legends Team. Prior to Riot, he was a Senior Consultant in the Financial Services Office at Ernst & Young. 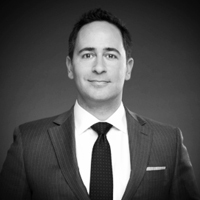 Jon received his MBA from NYU Stern, specializing in entertainment and finance, and a B.A. in Economics and Philosophy at Baruch College. Jon is a veteran of Afghanistan where he served as a Captain in the U.S. Army. Melanie Deziel is an award-winning branded content strategist and one of the world's leading native advertising educators. As an Expert In Residence with BRaVe, Melanie provides content insights, expertise, and training to both portfolio and advisory companies. Melanie is the founder of The Overlap League native ad newsletter, an Inc columnist, a member of the board of the Native Advertising Institute, and has served as a judge for multiple industry awards. As a consultant and speaker, Melanie has educated tens of thousands of marketers, salespeople and content creators from more than 31 countries about branded content strategy and best practices. Prior to joining BRaVe, Melanie was the Director of Creative Strategy for Time Inc., where she led ideation for sponsored content programs across 35+ publications. She also served as the first editor of branded content at The New York Times's T Brand Studio, where she wrote the “Women Inmates” piece for Netflix and the “Grit & Grace” feature for Cole Haan, which earned the OMMA for Best Native Advertising in 2014 and 2015, respectively. She holds a bachelor's degree in journalism from the University of Connecticut, and a M.A. in Arts Journalism from Syracuse University's Newhouse School. Melanie is based in New York City; you can find her on Twitter as @mdeziel or online at mdeziel.com. Emily is an entertainment and media strategist with a love of storytelling and a passion for executing creative vision. As an Expert in Residence at BRaVe, Emily works on BRaVe Story Ventures and its programming development, acquisitions and distribution. She has worked across the entertainment industry, most notably in the Television Literary Department at Paradigm Talent Agency, in Production for CBS TV Studios, and in Original Programming at Starz. Immediately prior to joining BRaVE, Emily received an MBA from NYU Stern. Alan is the Chairman of the 2nd Screen Society and an industry thought leader and futurist who Wirednamed as one of the Top 20 Thinkers in Social TV and Second Screen. After leaving Piksel, where he served as Global Lead Analyst, working with an international array of networks and MVPDs, Alan founded Toad Stool Consultants, where he advises clients on the flurry of changes coming from Hollywood, Silicon Valley, New York and beyond. Alan also serves as a Senior Analyst for The Diffusion Group, writing research reports on breaking topics in the television industry. Alan is a much sought after speaker and frequent contributor to Digiday, Beet.TV, Adweek and other industry news sites. He also serves as a “talking head" on NPR and the CBC, offering insight into breaking developments in the television industry. Prior to “seeing the light,” Alan was a highly successful advertising television creative director and helped launch Atmosphere, BBDO’s digital agency. Maya is a producer and emerging technology aficionado who applies the power of transmedia to world-changing ideas. She brings a wealth of experience from different media silos: visual effects, film, production, gaming, startups, product management and brand narrative. She has worked with big feature films and on game cinematics such as "Ghostbusters" and “Star-Trek online” for companies such as Ubisoft, EA, Vivendi and Activision. She has also worked in product development for companies such as the Chopra Center, Harpo Productions and Salesforce.com. Adrian has a hybrid background in media and technology. He has headed digital at three media companies – Endemol Shine Group, Lionsgate and Participant Media – as well as founding two media strategy agencies, TAG Strategic and New Medici, managing such diverse clients as Sony Pictures, Ogilvy, Qualcomm, Vevo, 20th Century Fox, General Assembly, Universal Pictures, Groupon, the Producers Guild of America, the CBC and the Australian Government. He oversaw digital strategy and marketing on Academy Award-winning films Crash, Monster’s Ball, An Inconvenient Truth, The Cove and Palme d’Or winner Fahrenheit 9/11, as well as the SAW and Tyler Perry franchises. Adrian launched multiple premium digital content networks: ICON with Michelle Phan, SMASHER esports with tentpole series Legends of Gaming, Participant Media’s TakePart social action network and BMW Films’ The Hire series. He has helped manage over $1.3 billion in media investments for studios, and has developed BANKABL, a content capital venture studio. Adrian delivered the inaugural Opening Forum digital keynote at the 60th Anniversary of the Cannes Film Festival, keynotes at X|Media|Lab in Auckland and Amsterdam, Intel’s Viiv launch in Tokyo and with Forrester Research in São Paulo. He has won a Clio for interactive marketing, was named a Backstage Digital All-Star by the Screen Actors Guild, and a British Airways / Harvard Business Review Face of Opportunity entrepreneurialism award. He is a member of the Academy of Television Arts & Sciences and a former program director for the Producers Guild of America.